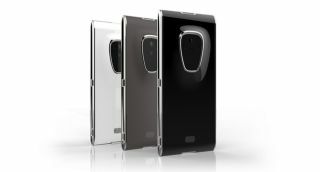 Sirin Labs has taken the wraps of its Finney blockchain phone. The $999 device features a dual-screen set-up that devotes a second display entirely to cryptocurrency transactions. The so-called 2in Safe Screen slides up from the rear of the device, and runs on dedicated firmware that allows users to be sure of where their transaction is taking place. Activating the slider also launches the Finney's cold storage wallet, which supports many of the leading cryptocurrencies around today. The Finney also looks to make cryptocurrency trading safer with its embedded Token Conversion Service (TCS) which automatically coverts SRN coins into the tokens needed to carry out purchases, which Sirin says greatly cuts down the waiting and processing times currently needed. Away from the cryptocurrency deals, the Finney features some decent hardware, with a Snapdragon 845 processor and 6GB RAM powering the device, alongside 128GB storage expandable up to 2TB via microSD and a 3280mAh battery. It runs Sirin Lab's own forked version of Android 8.1, known as Sirin OS, which includes the Sirin Labs Cyber Protection suite, which offers security services such as three-factor authentication, secured communications, and a behavioural-based Intrusion Prevention System to ensure all your currency is kept safe. The Finney, which is available for pre-order now, was first revealed last year among growing interest and excitement around blockchain technology. Since then, HTC has also unveiled a blockchain smartphone as it looks to kick-start its mobile ambitions. The HTC Exodus is due to go on sale in Q3 2018, but little about it is known for the time being.